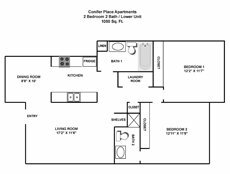 Conifer Place Apartments Is a delightful place to call home. 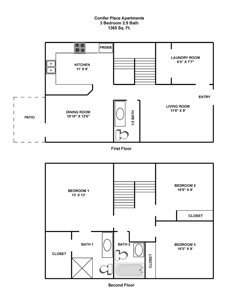 We offer one bedroom, two bedroom and three bedroom apartment homes. Enjoy the fitness center, heated swimming pool or basketball court. We also offer a fully furnished clubhouse with full kitchen for events and functions at no cost to our community residents. 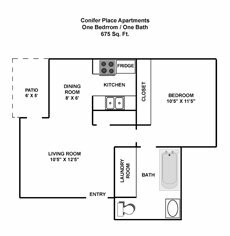 Included in your rent are water, sewer, garbage, recycling and assigned parking. 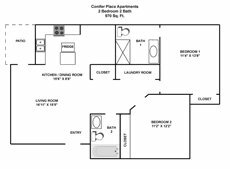 Conifer Place Apartments is located just 3.5 miles from the OSU Campus and 12.5 miles from Linn/Benton Community College. Our community is located in a peaceful residential neighborhood with beautiful trees and landscaping yet within walking distance of 9th street shopping. Just around the corner is the main walking and bicycling path that leads to historic downtown Corvallis. Call or come by anytime to receive a tour, brochure and price information. 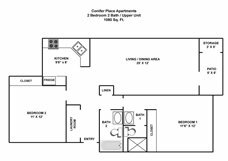 Property Manager: Bunting Management Group, Inc.
Conifer Place is located just 2.73 miles from the center of Corvallis and 2.75 miles from Oregon State University. The property has a Walkscore of 40, so you will probably be driving or taking public transportation most of the time. Conifer Place has many shops nearby. Coffee shops in the area include Schmidt's Garden Center, Starbucks, McDonald's. There are a number of markets in the area include Fred Meyer, Grocery Outlet Bargain Market, WinCo Foods.